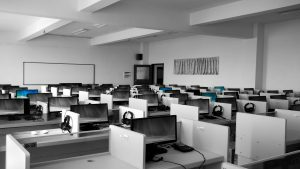 Whether it’s a completely new network from sockets to switches, or just a wireless network, we are experienced in many avenues of networking at office and home. Having trouble with your internet connection? Modem setups for new connections? or wish to add another routing layer to your network give us a call to see how we can help. From your basic home hub to enterprise level security appliance Mystery Tech can setup maintain and monitor your firewall to help keep you safe. Parental controls are a modern day must to help keep the whole family safe from a variety of technological threats. Supply, setup and troubleshooting is Mystery Tech’s speciality – pesky printers will always go wrong just when you need them! Network Storage are great for backups on the local network, also to act as a cost effective alternative to purchasing an expensive media server. Need help connecting your devices to the network? or joining to the domain. Mystery Tech are here to help.